You have selected the Make Up Artist Course ( SHBBMUP002 – Design and apply make-up ) membership level. 1. Enrolment for Makeup School Sydney courses must be fully completed and returned to Makeup School Sydney 14 days prior to the commencement of any Makeup School Sydney course. 2. Enrolment fees must be paid in full to Makeup School Sydney on or before the first day of any Makeup School Sydney course. 3. A deposit of $250 towards enrolment fees is due no later than 14 days prior to the commencement of any Makeup School Sydney course. 4. In addition to 1, 2 and 3 above, enrolment in any Makeup School Sydney course is not confirmed until the student has received a written confirmation from Makeup School Sydney that the student has been accepted into the School course. 5. A student may cancel their enrolment in a Makeup School Sydney course, where just cause exists (to be determined at the sole discretion of the Makeup School Sydney Director), provided a request to cancel their enrolment is made in writing and received by Makeup School Sydney no later than 15 days prior to the commencement of the course for which the student is enrolled. 6. If the cancellation is approved, the student will receive a full refund of any tuition fees and deposit that the student paid towards that course. 7. A student may not cancel their enrolment in a Makeup School Sydney course later than 15 days prior to the commencement of the course for which the student is enrolled. 8. If the Make Up School Sydney cancels or is unable to conduct a course for any reason students will, at the discretion of Make Up School Sydney, be provided with a refund, deferment, or transfer into another course. 9. A student may request a deferment of their enrolment in a Makeup School Sydney course no later than 14 days prior to the commencement of Makeup School Sydney course for which the student is enrolled. Approval of any deferment is within the sole discretion of the Makeup School Sydney Director. 10. If the deferment is approved, the student may transfer their tuition fees and deposit to another Makeup School Sydney course that they have been accepted into. 11. If a student does not wish to attend the Makeup School Sydney course that they are enrolled in, and the student fails to request a cancellation prior to 15 days before the commencement of the course and fails to request a deferment prior to 14 days before the commencement of the course, the student forfeits their enrolment fees and deposit. 12. It is the policy of Makeup School Sydney not to issue any refunds for any enrolment fees paid (including deposits) to Makeup School Sydney if a student fails to complete the course or is in any way unsatisfied with the content or delivery of the course. 13. If the student fails to complete the course, or is in any way unsatisfied with the content or delivery of the course, the student may request a private meeting with the Directors of Makeup School Sydney to address the student’s concerns, or lodge a complaint or appeal. 14. If you refer a friend that starts the same course as you, you will receive a discount of 10% off your course fee. 15. Students may pay their course fees by credit card (in person, or over the phone). 17. The Makeup School Sydney reserves the right to postpone any Makeup School Sydney course if student enrolments fall below a satisfactory number or for any other reason. Students will be notified no later than 7 days prior to commencement of the course for which they are enrolled if the course is postponed. Students will then be given an option of enrolling in the same Makeup School Sydney at another time. 18. Makeup School Sydney reserves the right to change (within Trade Practice guidelines) the content or delivery of any Makeup School Sydney but will ensure that any such changes do not detrimentally affect the quality or standard of the course provided to students enrolled. 19. Once enrolled, students are required to attend ALL scheduled lessons in a Makeup School Sydney course. Failure to do so may affect the student’s outcome. 20. Make Up School Sydney will retain records of attendance at all sessions. c. Illegal or irresponsible behaviour. 22. Make Up School Sydney strives to provide a teaching environment that is free from discrimination, harassment and that supports group and individual development. c. Refrain from behaviour that is disruptive, offensive and may undermine group dynamics. a. Give a verbal warning - Speak to the student, identifying the issues that are of concern. b. If the behaviour continues - The student concerned may be asked to leave the course. (Under these circumstances the student will not be eligible for a refund). 25. Students must notify Makeup School Sydney in writing at least 7 days prior to the commencement of the course that they are enrolled in if they require special assistance of any kind in order to attend and/or complete the course, including special assistance relating to a disability. Such information will be kept in the strictest confidence. 26. While Makeup School Sydney may from time to time recommend students for positions or opportunities within the industry, at its sole discretion, Makeup School Sydney is not an employment agency. 27. Make Up School Sydney collects personal information solely for the purpose of operating under the National Vocational Education and Training Regulator Act 2011 and the Standards of National Registration administered by the Australian Skills Quality Authority (ASQA). From time to time ASQA may require the release of your personal information for the purposes of audit and reporting. This may include surveys conducted by National Centre for Vocational Education Research (NCVER) who collect information about people who have completed recognised vocational training in the previous calendar year and provides information on vocational education and training in Australia to governments. 28. The Make Up School Sydney will retain records of our student’s participation and progress. 29. Under the National Privacy Principles you can access personal information we hold on you and you may request the correction of information that is incorrect or out of date. 30. If a student wishes they may request access to their records. This can be done by writing to the Make Up School Sydney and providing your name, contact details (including phone, address, and email) date of birth, and name and date of course attended, together with the specific information that you require. 31. The Make Up School Sydney will then cross check the details you have provided with the records you provided at the time of your registration / enrolment. Finally, the Make Up School Sydney will contact you using the original details you provided at the time of your registration to verify that the request has been made by you. 32. Once your identity has been verified the Make Up School Sydney will provide you with the information you have requested. a. if you require a replacement statement of attainment we will charge you a $30 fee. b. If you require a large amount of information to be posted to you we will charge you printing and postage at cost. We will inform you of (and you will pay) the cost before we send the information. b. Student Attendance and Assessment Evidence (including class rolls, Assessment Summary sheets and copies of all assessment evidence produced by each student) for a minimum period of 12 months following the student’s completion of or exit from the course. c. Management records (including meeting minutes, financial records, and operational data) will be retained for a minimum of 12 months, or the period required by law. 35. The courses where make Up School Sydney issues a Statement of Attainment will require students to complete formal assessments. All assessment is expected to be the original work of the student. 36. Please contact your assessor prior to the due date of your assessment task to discuss your requirements for an extension. 37. The late submission of assessments (without having previously received an extension) or the failure to submit assessments will not be acceptable reasons to appeal an assessment decision. 38. The Make Up School Sydney seeks to resolve complaints and appeals at the lowest appropriate level and in a fair, equitable and transparent manner. 39. Students may lodge a complaint about any aspect of their experience at, or the services provided by, the make Up School Sydney. 40. In the first instance students should discuss their complaint with the person most likely to be able to resolve the complaint. a. If the complaint is about a fellow student the complaint should be made to the course teacher. 41. In some instances it may not be appropriate or a student may not wish to discuss their complaint directly with the person who is most likely to be able to resolve their complaint. In this instance a formal written complaint may be lodged with the Make Up School Sydney Director. 42. Once a complaint has been received the Director will contact the student within 10 business days to discuss the complaint and negotiate an outcome. 43. Within 10 business days of negotiating the outcome the Director will send to the student written confirmation of the outcome and the action taken to resolve the complaint. 44. All documentation relating to complaints will be kept strictly confidential. 46. Students may appeal an assessment decision where they feel that the conduct of the assessment or the outcome of the assessment was unfair. 47. In the first instance students should discuss their assessment (and reason for lodging an appeal) with their assessor. 48. The make Up School Sydney has a flexible assessment process that allows students to be reassessed where competence was not demonstrated on the first attempt. 49. Based on this discussion, the Make Up School Sydney will arrange for a reassessment of the student, including taking steps as mutually agreed to address the issues that led to the initial assessment appeal. 50. If a student is not able to resolve the appeal during this initial discussion with their assessor they may lodge a formal assessment appeal in writing. 51. Once an assessment appeal has been received the Director will contact the student within 10 business days to discuss the appeal and negotiate an outcome. 52. Within 10 business days of negotiating the outcome the Director will send to the student written confirmation of the outcome and the action taken to address the appeal. 53. All documentation relating to appeals will be kept strictly confidential. 54. If a student is not satisfied with the outcome of the appeal process they may lodge a complaint. f. Behave in a responsible manner by not damaging or vandalising the Make Up School or other students’ property, not littering, harassing, offending or distracting fellow students, injuring other people, or attending class affected by alcohol or drugs. 58. Make up School Sydney incorporates the principles of equity into all programs. 59. Make Up School Sydney staff have been instructed in their responsibilities with regards to Access and Equity principles. 60. Participants have equitable access to our programs irrespective of their gender, culture, linguistic background, race, location or socio-economic background. 61. Some courses have a limited number of places and these will be filled in a chronological order upon completion of enrolment. Admission procedures will therefore be free of discrimination. 62. Make Up School Sydney conducts periodic reviews to ensure that it is compliant with all state and federal legislative requirements for RTO’s including but not limited to Privacy, WH&S, Harassment, Discrimination, Equal Opportunity and Vocational Education and Training legislation. 65. The National Vocational Education and Training Regulator Act 2011 provides legislation and regulatory requirements relating to the provision of vocational education and training (VET) in Australia. 67. The Workplace Health and Safety Act (2009) provides for duties and and obligations related to workplace health and safety. 68. The NSW Anti-Discrimination Act provides for prohibition of discrimination and other specified conduct and provides for the investigation of complaints in relation to discrimination, workplace harassment, bullying, and victimisation. 69. Make Up School Sydney staff will provide students with an overview of WHS requirements as the relate to their participation in training and assessment during the first training session. 70. 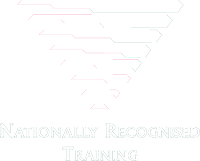 Make Up School Sydney recognises the Australian Qualifications Framework (AQF) qualifications and statements of attainment issued by other Registered Training Organisations (RTOs). 71. Make Up School Sydney advertises its products and services in an ethical manner. This includes using clear and accurate, and avoiding the use of vague ambiguous or inaccurate, statements. a. The complete information published on our course information, FAQ, and terms and conditions pages. b. The review and completion of our Enrolment Form, including showing their understanding of and agreement to our terms and conditions. Privacy: I agree that the information I provide, including the information submitted on this enrolment form, may be used for the purposes of general student administration, communication, state and national reporting, program monitoring and evaluation. The information may be disclosed to the National Centre for Vocational Education Research and/or the Australian Skills Quality Authority. b. Agreement: I have read, understood, and agree to the Conditions of Enrolment at www.makeupschoolsydney.com.au.